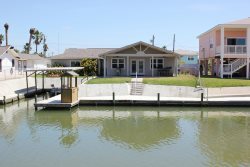 Canal Front Cottage is a recently remodeled home located on a canal in the Copano Cove neighborhood. It is also the home of our sweet Miss Kitty! She is a very friendly outdoor cat who never meets a stranger. Canal Front Cottage is a two bedroom one bathroom home on the first canal that leads into Copano Bay. 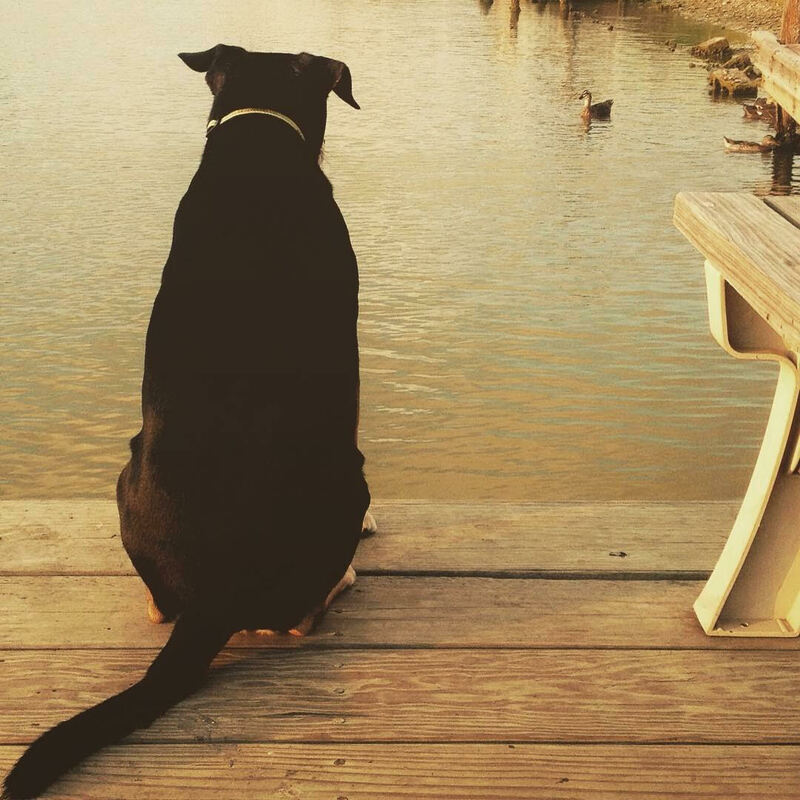 Canal Front Cottage is also a pet friendly vacation rental, so bring your furry family members along with you. We do have a two pet maximum. The back yard is fenced in on three sides. It is not fenced in along the water. So bring your pet, there is room for them to explore and roam! There is also a private fishing and boat dock. Spend your time fishing and relaxing on your own private dock. Canal Front Cottage has an underwater green light that is on a dusk to dawn timer. A great amenity for night time fishing! Also access to the small boat launch onsite perfect for kayaks and smaller boats. Canal front cottage has a beautifully furnished living room that opens into the spacious kitchen and large windows that allow for canal views from the living room and kitchen. The kitchen is fully equipped with all of your cooking and di ning needs, and there is plenty of seating at the kitchen table and bar area. There are all new appliances in the kitchen. New furnishings throughout and all the comforts of home at your fingertips! Canal Front Cottage has 2 bedrooms. The master bedroom has a king size bed. And the second bedroom has a queen size bed. There is also a sleeper sofa in the living room. Both bedrooms have televisions in them. There is also a VCR and DVD player in the living room. So bring some movies! This home also has a washer and dryer, outdoor BBQ grill and patio furniture, and much more to make you stay pleasurable! 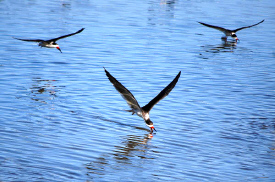 The canal is perfect for kayaking and bird watching. Many blue herons nest in the trees on the grassy point across the canal. View a large variety of birds and ducks that live and feed in the canal including skimmers, brown and white pelicans, king fishers, egrets, herons, and plenty of ducks! Canal Front Cottage is just minutes from downtown and all that Rockport has to offer. Enjoy shopping at some of our fantastic and unique boutiques or sipping on your favorite beverage while watching the boats come in. Swing by the Chamber of Commerce and pick up some information on other exciting things to do in Rockport. Great staff, very good information. We had one of the best time in a very long time, Thank you very much. Booked again for next year, need I say more? Nothing but great things to say about Miss Kitty's. This is our 5th booking and we're stayed at a few different places and sure the properties are different but we've never had a bad experience, even when we had to cancel/postpone our previous trip at the Canal Front Cottage due to bad weather. Our family has rented from Miss Kitty's for many years, and have always enjoyed the variety of homes, the personal service, and of course, vacationing in Rockport. Miss Kitty's never disappoints! The house was super clean and comfy. We had everything we needed and more. Thanks for a great weekend!